BNHS-India, a pan-India wildlife research organization, has been promoting the cause of nature conservation for the past 131 years, since 1883. Wildlife Trust of India (WTI) is a leading Indian nature conservation organisation committed to the service of nature. Its mission is to conserve wildlife and its habitat and to work for the welfare of individual wild animals, in partnership with communities and governments. WTI's team of 150 dedicated professionals work towards achieving its vision of a secure natural heritage of India, in six priority landscapes, knit holistically together by seven key strategies or Big Ideas. Bagh is a not-for-profit national wildlife conservation organisation, established in 2012 by noted conservationist and writer Prerna Singh Bindra (prernabindra.com). Bagh's primary mission is to conserve India's wildlife and wild habitats through policy and legal reform, the promotion of education and awareness, and by supporting effective action on the ground. Ashoka Trust for Research in Ecology and the Environment (ATREE) is a research institution in the areas of biodiversity conservation and sustainable development. We focus on applied science through research, education and action that influence policy and practice on conservation of nature, management of natural resources, and sustainable development. Tiger Watch is a Non Governmental Organization (NGO) registered in Mumbai under the Bombay Public Trusts Act. This organization has, as its primary objective, the conservation and protection of wildlife, at Ranthambhore Tiger Reserve, Rajasthan. Mr. F. S. Rathore (Field Director, Ranthambhore National Park, Retd.) along with other prominent conservationist have launched this organization. Mr. Fateh Singh who was the former Field Director of Ranthambhore Tiger Reserve made this park world famous for its Tigers. On his retirement seeing the deteriorating situation owild life in general and the grave condition of Ranthambhore Tiger Reserve in particular, wished to use his personal and intimate knowledge of the park and contribute towards its betterment. The NGO Tiger Watch has thus been constituted with the idea of augmenting the resources of the Forest Department to combat various problems faced in the management of this famous Tiger Reserve. Welcome to Aaranyak. We strive to protect nature and its resources ranging from animal and plant species, forests, various water bodies, mountains, as we believe that welfare of our communities is intricately linked to pristine nature. We work to secure a future for all species that are under any sort of threat. We bank on scientific means, law, advocacy , community engagement, education and much more, in our endeavour to protect land, water, and climate that are vital for survival of all animal and plant species. The efforts to leave behind a vibrant nature face a range of national and worldwide threats to biodiversity that include overpopulation , climate change and man's quest for rapid development. Now into the 21st year of our mission, we try hard for continued expansion, creativity, and unrestrained action for protection of most endangered species, rivers and water bodies, mitigating impact of changing climate in North East India. 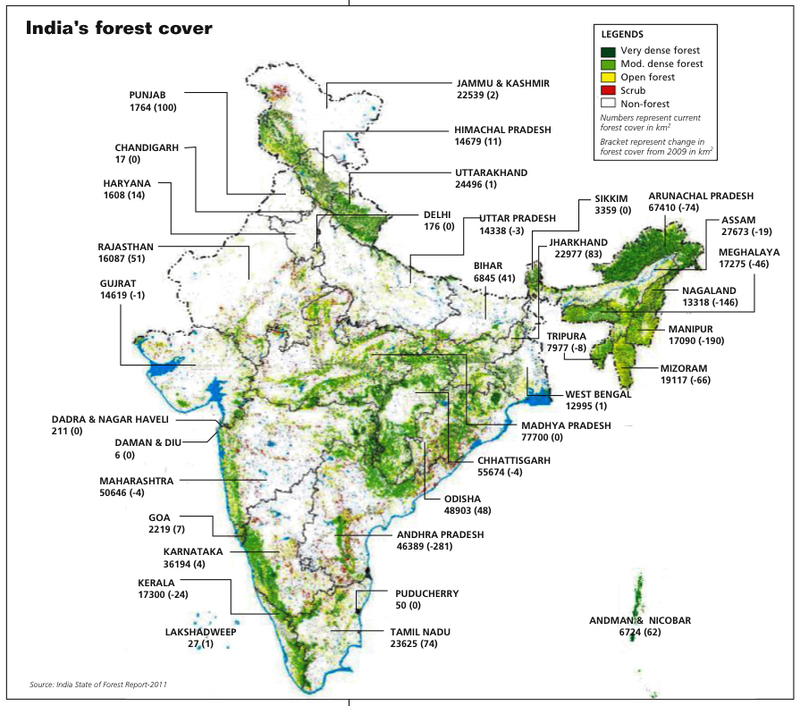 At the Nature Conservation Foundation, our goal is to contribute to the knowledge and conservation of India's unique wildlife heritage with innovative research and imaginative solutions. We work in a range of wildlife habitats, from coral reefs and tropical rainforests to the high mountains of the Himalaya. Here, we strive to understand the survival needs of endangered species such as snow leopards and elephants, as well as equally fascinating but lesser-known wildlife such as corals and spiders. Our research also addresses human resource-use and its impacts on wild species and ecosystems. Using this knowledge of wildlife ecology and human society, we design conservation strategies that are locally-appropriate. These are implemented in collaboration with local communities who depend the most on natural resources, and the governments that manage them. While promoting wildlife conservation, our programmes also strive to safeguard livelihood and development options for local communities. A bunch of crazy people from different fields of life gathered together, despite their jobs, to meet in an organization for the same passion and dream. They all love the same goal to serve the Nature and causes of her. Yes, we are Crazy in the eternal love to save our natural resources, we are passionate about conservational efforts, we thus made Nature as our companion for ever. We are NATURE MATES! The Corbett Foundation was established by Mr. Dilip D. Khatau, a former Member of the National Board for Wildlife in India and a Member of the Indian Wildlife Business Council of the Confederation on Indian Industry, on April 22, 1994. TCF is a charitable trust, a non-profit and a non-governmental organisation that is fully dedicated to the conservation of wildlife. Apart from being a member of the International Union for the Conservation of Nature (IUCN) and a Member of the Global Tiger Forum, TCF is also an activity partner with the United Nations Decade on Biodiversity, The Ramsar Convention and the Born Free Foundation. TCF has been accredited by Credibility Alliance under the Desirable Norms for Voluntary Organisations in India. SACON as formally inaugurated on 5th June 1990 and registered as a society under the Society Registration Act 1860. In appreciation of his lifelong services to India's bird life and conservation of natural resources the Salim Ali Centre for Ornithology and Natural History (SACON) was named after Dr. Salim Ali. SACON was dedicated to the nation on February 11, 2000 by the Honourable Minister for Environment and Forests, Government of India, Mr. T.R. Baalu. Asian Nature Conservation Foundation. ANCF is a small group of conservation scientists, planners, information managers and administrators working together to support the conservation of biological diversity in India. ANCF was established in 1997 as a charitable trust by the eminent conservation scientist, Prof Raman Sukumar, Chair of the Centre for Ecological Sciences, Indian Institute of Science, Bangalore. It is governed by a Board of Trustees chaired by Prof Sukumar. Mr Thomas Mathew, an experienced conservation planner and manager serves as the Executive Director. ANCF has its headquarters at the Innovation Centre office of the Indian Institute of Science, Bangalore. While ANCF is constituted as an independent group of conservation professionals, in implementing its programmes it works closely with Government agencies, sister research and education institutions, civil society groups and community organizations. The Andaman and Nicobar Islands in the Bay of Bengal are an archipelago of approximately 527 islands, islets and rocks. This underwater mountain range manifests itself above water as a chain of emerald islands of exceptional beauty and conservational importance. The islands' immense biological diversity is a result of ocean boundaries enclosing a wide range of ecosystems - open oceans, shallow seas and reefs, sandy beaches, rocky shores and sea caves, mangroves and wetlands, littoral forests, giant lowland evergreens and hill top forests on this 6000sq km land. ANET's aim is to further the understanding of the islands' biological diversity and to actively contribute towards their conservation through education, research and the development of sustainable resource utilization. Gujarat Ecological Education and Research (GEER) Foundation is an autonomous body, set up in 1982 by the Forests & Environment Department, Government of Gujarat. The Foundation has been registered as a Society under the Indian Societies Registration Act, 1860, and as a Public Trust under the Bombay Public Trust Act of 1950. The Foundation is governed by a Board of Governors chaired by the Hon'ble Chief Minister of Gujarat. The most severe failure in India's environmental governance frameworks covering diverse political spaces, is the failure to integrate the social, and the ecological. Dakshin endeavours to influence environment and nature conservation in this direction, to articulate a conservation agenda that stems from integrated philosophies. Our sites of work are distributed between mountain systems and coasts with our programmes straddling these biologically diverse and fascinating ecosystems. ARRS is a field based conservation and research organisation situated inside the Agumbe Reserved Forest in the central Western Ghats of southern India. The Agumbe Reserved Forests receives an annual rainfall in excess of 7,000 mm (280 in) and is at an elevation of about 640 m (2,100 ft) above sea level. It forms a part of the Malnad-Kodagu corridor, which also includes the Someshwara, Mookambika, Bhadra, and Sharavati Wildlife Sanctuaries, Kudremukh National Park, and various other forest tracts and reserve forests around Kundapur, Shankaranarayana, Hosanagara, Sringeri, and Thirthahalli. FERAL is a non-profit trust registered at Pondicherry on the 22nd of July 1997 (No.1327/97). We are a Scientifc and Industrial Research Organisation certified by the Department of Scientific and Industrial Research, Minstry of Science and Technology, New Delhi (No.11/493/08-TU-V). Our organisational structure consists of a board of trustees, academic advisors and a management board and is aimed at facilitating independent research while ensuring a high degree of academic quality and accountability. Our key areas of work include wildlife conservation, ecological restoration, natural resource management and capacity building in these areas. The Madras Crocodile Bank Trust and Centre for Herpetology is one of the largest reptile zoos in the world and one of the oldest non government environmental organizations in Asia. Our primary aim is to promote the conservation of reptiles and amphibians on the Indian subcontinent, but our inference is multidisciplinary and extends worldwide. The Wildlife Conservation Society (www.wcs.org) saves wildlife and wild places worldwide. It does so through science, conservation, education and the management of the world's largest system of urban wildlife parks, led by the flagship Bronx Zoo. Together these activities change attitudes towards nature and help people imagine wildlife and humans living in harmony. WCS is committed to this mission because it is essential to the integrity of life on earth. Wildlife Conservation Society has furthered its global mission in India since 1988 through activities of its staff and partners. UCN, International Union for Conservation of Nature, helps the world find pragmatic solutions to our most pressing environment and development challenges. IUCN's work focuses on valuing and conserving nature, ensuring effective and equitable governance of its use, and deploying nature-based solutions to global challenges in climate, food and development. IUCN supports scientific research, manages field projects all over the world, and brings governments, NGOs, the UN and companies together to develop policy, laws and best practice. IUCN is the world's oldest and largest global environmental organisation, with more than 1,200 government and NGO Members and almost 11,000 volunteer experts in some 160 countries. IUCN's work is supported by over 1,000 staff in 45 offices and hundreds of partners in public, NGO and private sectors around the world. The Rufford Foundation is a UK based charity. Our main remit is to offer Rufford Small Grants for nature conservation projects in the developing world. There are five stages of funding available. The Wildlife Conservation Society, founded in 1895, has the clear mission to save wildlife and wild places across the globe. Our story began in the early 1900s when we successfully helped the American bison recover on the Western Plains. Today, we protect many of the world's iconic creatures here and abroad, including gorillas in the Congo, tigers in India, wolverines in the Yellowstone Rockies, and ocean giants in our world's amazing seascapes. Since our founding, we have forged the power of our global conservation work and the management of our five parks in New York City to create the world's most comprehensive conservation organization. We currently manage about 500 conservation projects in more than 60 countries; and educate millions of visitors at our five living institutions in New York City on important issues affecting our planet. Our parks include: the Bronx Zoo, New York Aquarium, Central Park Zoo, Prospect Park Zoo, and Queens Zoo. For more than 50 years, WWF has been protecting the future of nature. The world's leading conservation organization, WWF works in 100 countries and is supported by 1.1 million members in the United States and close to 5 million globally. WWF's unique way of working combines global reach with a foundation in science, involves action at every level from local to global, and ensures the delivery of innovative solutions that meet the needs of both people and nature. Developing insight into consumer attitudes and purchasing motivation and guiding the design of effective communication interventions aimed to dissuade purchasing of illicit wildlife goods. We are a premier research institute with all the necessary facilities that a research scientist may need. Research interests of our faculty lie in the frontier areas of biology. The talent and drive of our students and faculty continues to show us the way to good science. The Centre for Ecological Sciences, founded in 1983 with the support of Ministry of Environment and Forests offers exciting opportunities for research in a variety of areas in ecology. Over the past 25 years, and more, we have instilled a tradition of rigorous enquiry in diverse areas of ecology, evolution and behavior. Our projects are often integrative and we use multiple approaches, from theoretical and laboratory studies to field-based research, to explore our research questions. A number of our research areas are breaking new ground in ecology while others have significant roles in conservation. The University of Washington is one of the world's preeminent public universities. Our impact on individuals, on our region, and on the world is profound - whether we are launching young people into a boundless future or confronting the grand challenges of our time through undaunted research and scholarship. Ranked number 10 in the world in Shanghai Jiao Tong University rankings and educating more than 54,000 students annually, our students and faculty work together to turn ideas into impact and in the process transform lives and our world. For more about our impact on the world.